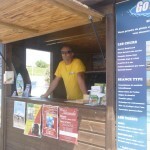 Schoolmanager for over 10 years, extrem sport addict, Benoit welcomes you in our Goandsurf chalet and will explain you and be there to answer at all your questions. Surf trip : Indonésia, Papoua, Tahiti, Sri Lanka, La Réunion, Marocco, Panama, Nicaragua…. From Italia, International surf instructor ISA level 1, lifeguard and shiatsu instructor ,LUDO is an ocean lover and he will share with you is passion for surf and nature. 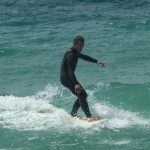 Jean Christophe, from the Reunion island, Brevet d’Etat Surf 1er degrés instructor for over 13 years. Surf Club Member of Labenne, school instructor too with kids in winter, JC will share with you his passion for surf and ocean . Surf trips : Indonésia, Réunion, Australia, New Zealand, Tahiti, New Caledonia and more…. Surf instructor International ISA level1. Monia is always happy and friendly , she will give you the smile during your surf lesson. surf trip : Reunion , Spain , Portugal. Coming to England, International surf instructor ISA level 2, after 10 years spent as surf instructor on the best Britain’s beach, Saber joined our team to enjoy the waves in Labenne.